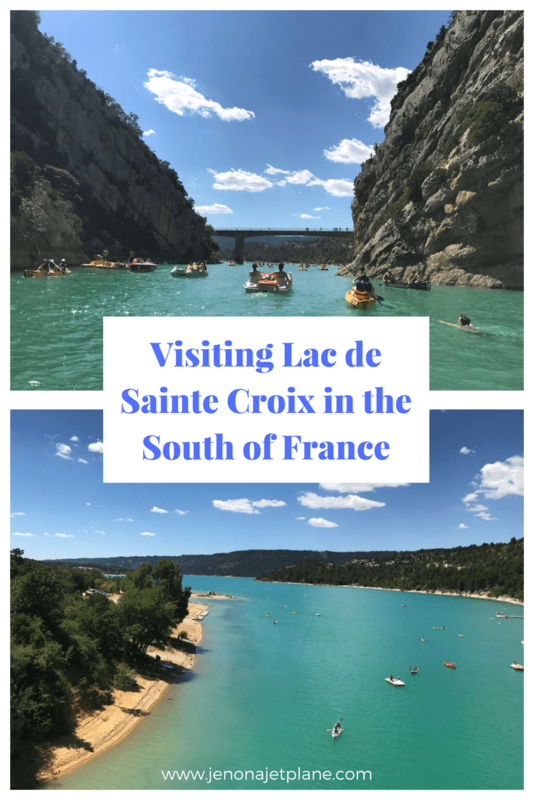 I had no intention of visiting Lac de Sainte Croix when I first added Castellane to my list of stops on a road trip through the South of France. In fact, my original plans included a dose of adventure and adrenaline, and it ended up being one of most tranquil days of my life. It’s not easy to find information about Castellane from abroad. All I knew is, I’d seen video footage of people kayaking through blue-green waters in what’s described as the Grand Canyon of Europe, and I had to see it for myself. 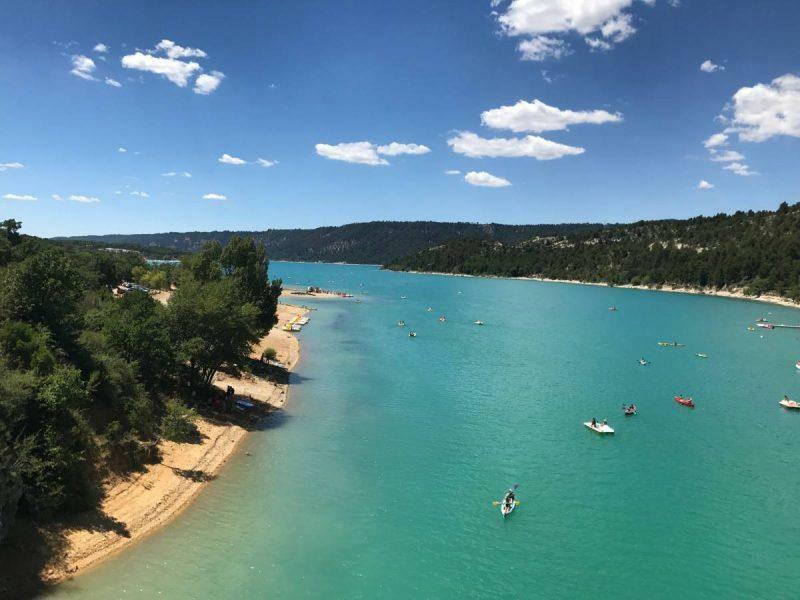 The main draw of the city is the Gorges du Verdon, a canyon more than 15 miles long and 2,000 feet deep in southeastern France. It’s named after the Verdon River that flows through it and carved out the canyon walls. 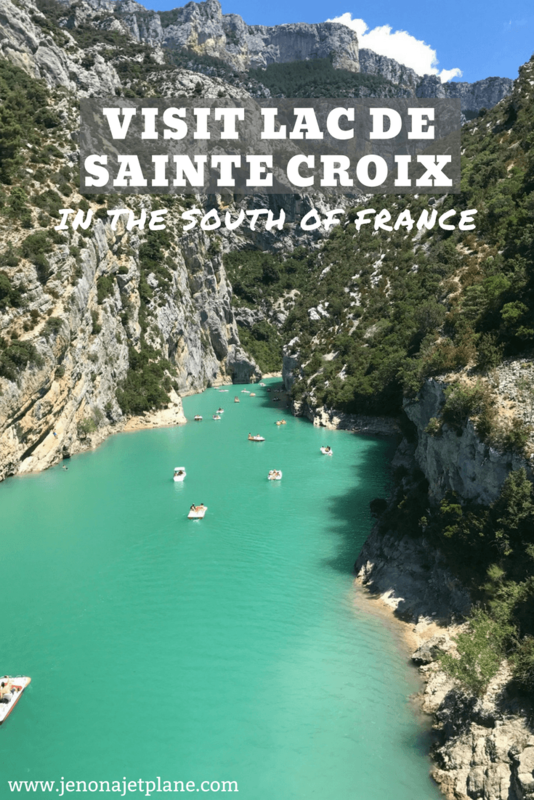 At the end of the Gorges du Verdon, you’ll find Lac de Sainte Croix. 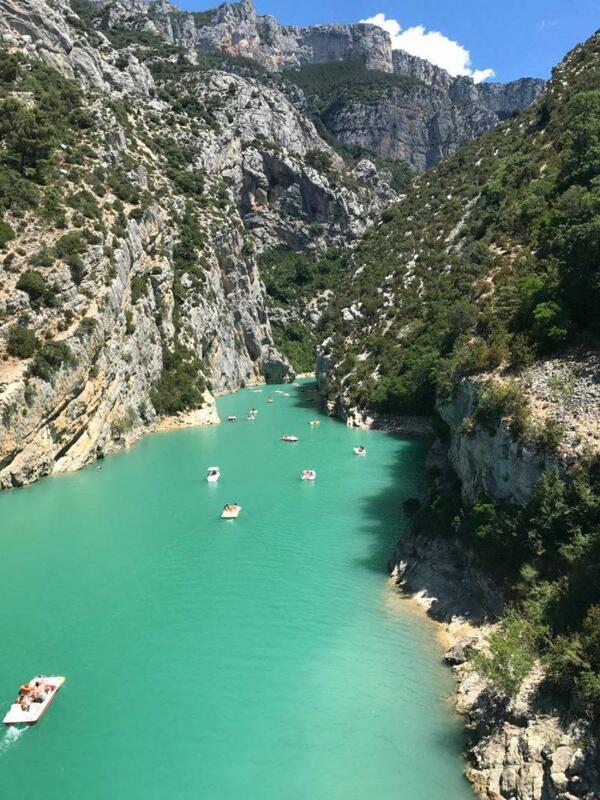 It is easy to access the Gorges du Verdon from the French Rivera, Provence or Paris. Coming from Arles, it’s about a 2 1/2 hour drive, and about an hour and a half from Nice. There is no train service to the area, but there are buses available from Nice and Marseilles, on the LER 31 and LER 27 routes respectively, costing €13-25. LER is the acronym for bus regional express lines in France. It takes 3 1/2 hours to get there on public transportation from Marseilles and just under 2 hours from Nice. I wouldn’t recommend the buses as a first choice, however, since you lose the ability to stop and enjoy the views along the way. If you’re driving to the area from Provence, you’ll need to take the A51 route. If you’re coming from Nice, you’ll be traveling via the D2 route. Be aware that the roads nearing Castellane can get perilous, especially at night since there’s very little lighting and the mountains curve unexpectedly. The city most associated with the Gorges du Verdon is Castellane, where you’ll find the majority of tour providers, hotels and tourism offices. The town closest to the lake entrance is Moustiers-Sainte-Marie. 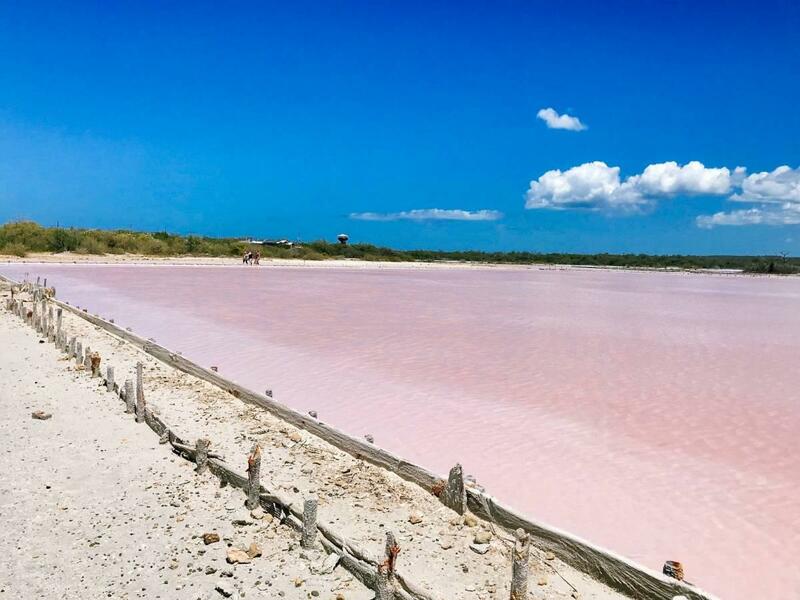 From there you would drive approximately 3.5 miles to the Galetas Bridge, which overlooks the lake. It can take more than an hour to drive from Castellane to the lake due to the winding mountain roads. Lac de Sainte Croix sits at the base of the Gorges du Verdon. If you’re doing an adventure activity, it’s most likely where you’ll end up. It is the second largest lake in France after Lake Bourget, with beaches along its shores so you can spread your towel and tan for the day. The lake is surrounded by limestone cliffs that have been carved into a ravine over time. It is manmade, formed in the 1970’s with the construction of the Dam of Sainte-Croix. You can find a parking lot, restrooms and limited food on site. With more than 1,500 hiking trails and more than 600 square miles of lake surface area, there is plenty to keep you busy for several days, though a lot of people stop here on a day trip. This is a popular summer destination, with guests bringing picnics and coolers with them to stay for a while. Water activities on the lake include paddle boats, sailing and swimming. You can rent equipment when you arrive, paid for by the hour. 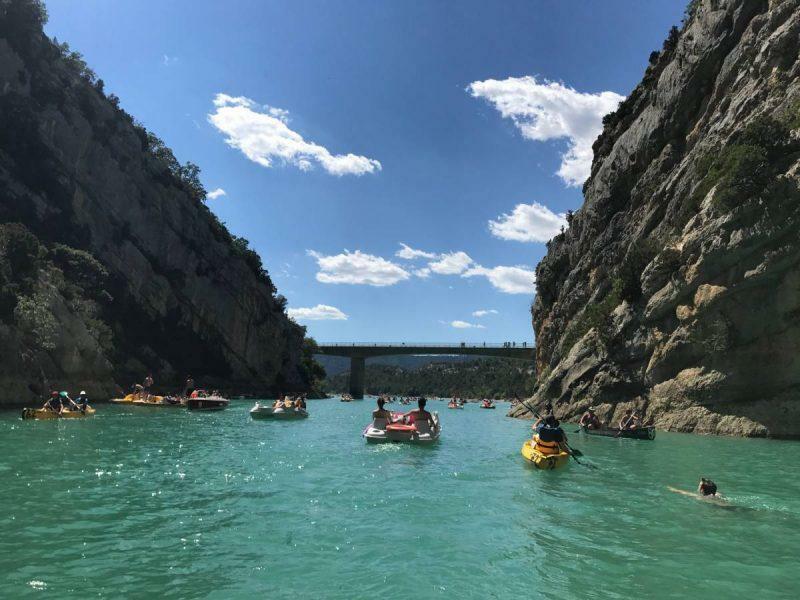 If you’re looking for adventure, head to the Gorges du Verdon, where you can do canyoning, rafting, rock climbing, hang gliding, kayaking, canoeing, biking and even aqua trekking where you float down the river in a wetsuit. Fishing is also popular here, with anglers reeling in Carp and Trout most commonly. Be aware that not all activities are offered on all days. 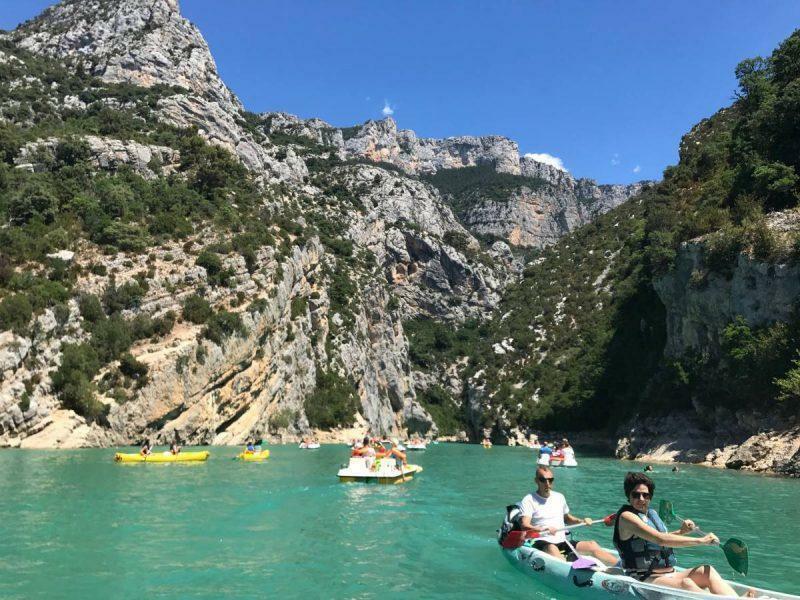 When I got to Castellane, I planned to kayak down the Gorges du Verdon but found that it was not available.The tour providers only offer certain activities on set days of the week, and there can be closings of parts of the river. I highly recommend researching this ahead of time and booking before you go so there are no surprises on your trip. All of the standard lodging options are available in Castellane. You can rent a hotel, get an AirBnB or stay at a hostel. If you’re looking for an affordable option in the middle of the action, Hostel L’Oustaou is a great option. 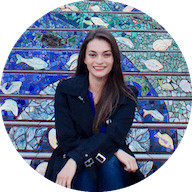 I stayed at a studio apartment through AirBnB that was located within walking distance of Castellane city center, and it came in handy when I was looking for dinner. This is a smaller town, so restaurants close early. It also had free parking nearby, which was not common in the area. As I mentioned, I intended on entering the Gorge from Castellane until I realized the only activity available on the day I was there was aqua trekking. If you want to be closer to the lake specifically, check out one of several neighboring campsites near Moustiers-Sainte-Marie. They all come highly recommended. During the summer there is a shuttle bus, the “Estelline”, that takes you from Moustiers to Lac de Sainte Croix. 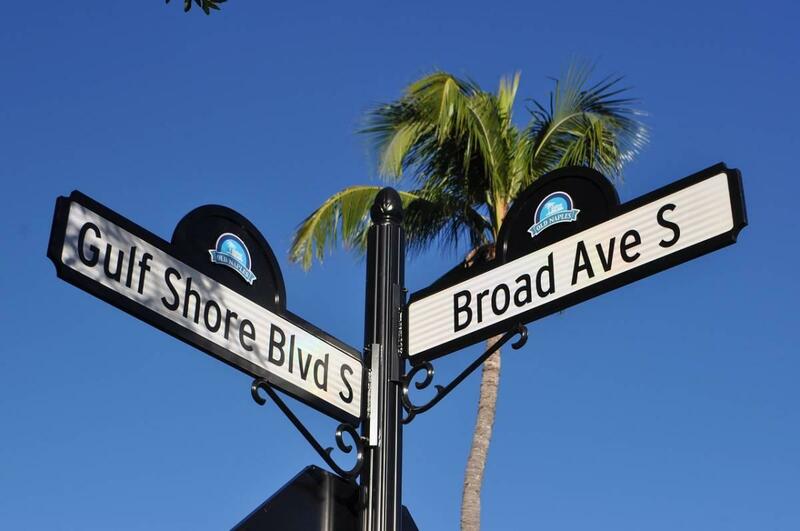 You can view the shuttle schedule here. The lake is free to enter, you just pay for your activity rentals. You can stay as long as you like. It’s pristine here, so try to be considerate and leave the space cleaner than you left it. The site is open year-round, though it snows and is very cold during the winter, and winter could see some road closures depending on the driving conditions. 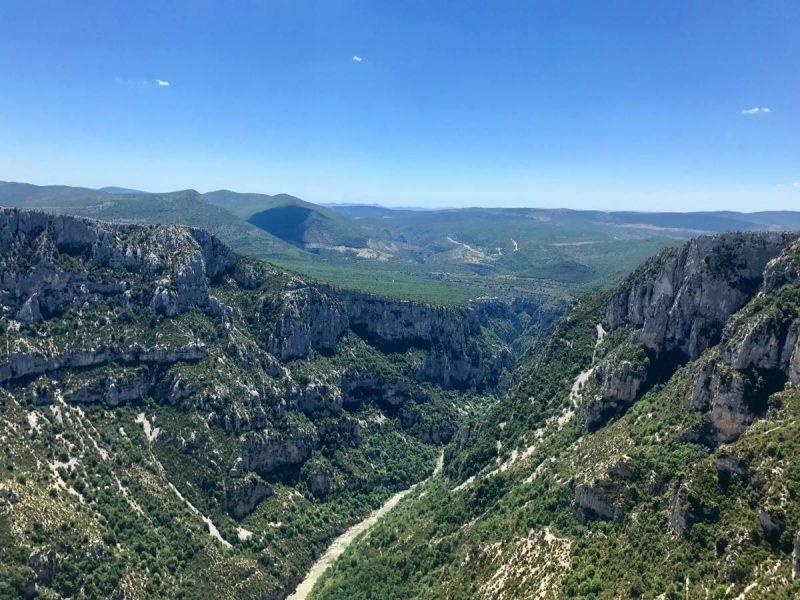 There are many day trips you can take in France, from Mont-Saint-Michel to Limoges, but the Gorge du Verdon is a unique and still relatively undiscovered place that should be at the top of your list. These photos are absolutely gorgeous, I can only imagine how amazing this looks in person!! Thank you for sharing the bus and shuttle information, as I rarely rent a car on my travels, I appreciate knowing there are still ways for me to visit here! I’ll definitely add it to my wish-list for my next trip to France. This takes me back to my childhood and our yearly summer vacation to the South of France. And to my teens, when I wanted to bungee jump off the bridge. It’s such a gorgeous place to spend the day, one that evokes instant relaxation. 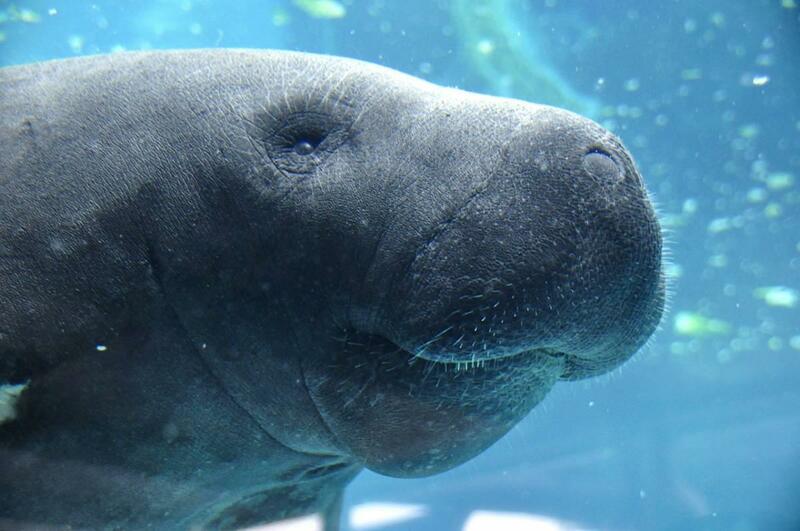 I love your photos, by the way! Time for me to plan another visit to this emerald lake. Thanks for the reminder! What a beautiful place! I love stumbling upon unique places that I never know about. Thanks so much for the information and sharing your experience!